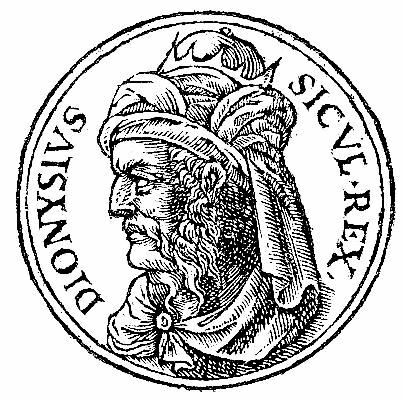 Dionysius was a Greek tyrant of Syracuse. He conquered several cities in Sicily and southern Italy, opposed Carthage's influence in Sicily and made Syracuse the most powerful of the Western Greek colonies. He was regarded by the ancients as an example of the worst kind of despot—cruel, suspicious and vindictive. Dionysius began his working life as a clerk in a public office. Because of his achievements in war he was elected supreme military commander in 406 BC; in the following year he seized total power and became tyrant. He ruled until 367 BC, where he reportedly he drank himself to death after learning that a play he wrote had won first prize in the Lanaean festival in Athens.